May 19, 2012 was the 26th annual MWR Navy Bay Bridge Run/Walk. This was our second time entering the event. 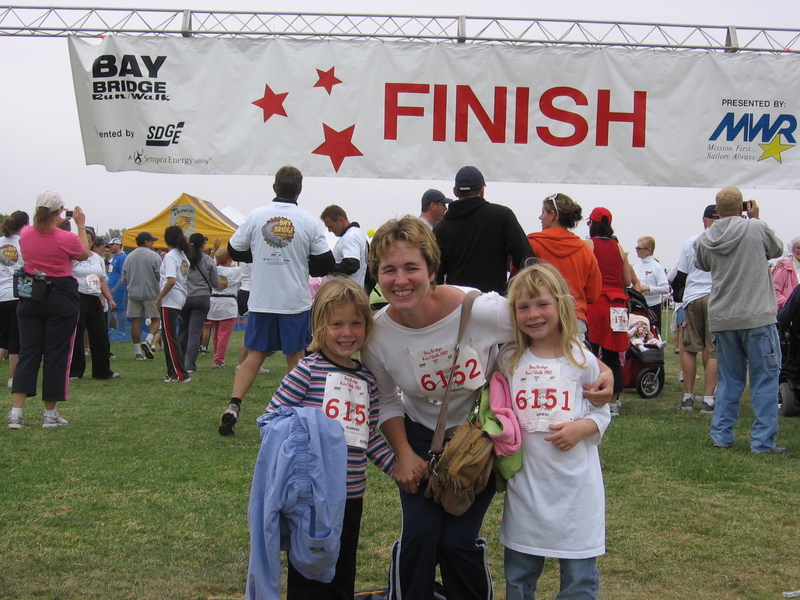 Four years after my stroke my daughters and I walked the Navy Bay Bridge Run/Walk from San Diego to Coronado. Without any assistive device, neither an AFO nor cane, I finished with only their support and the encouragement of hope. These pictures are from a previous walk. 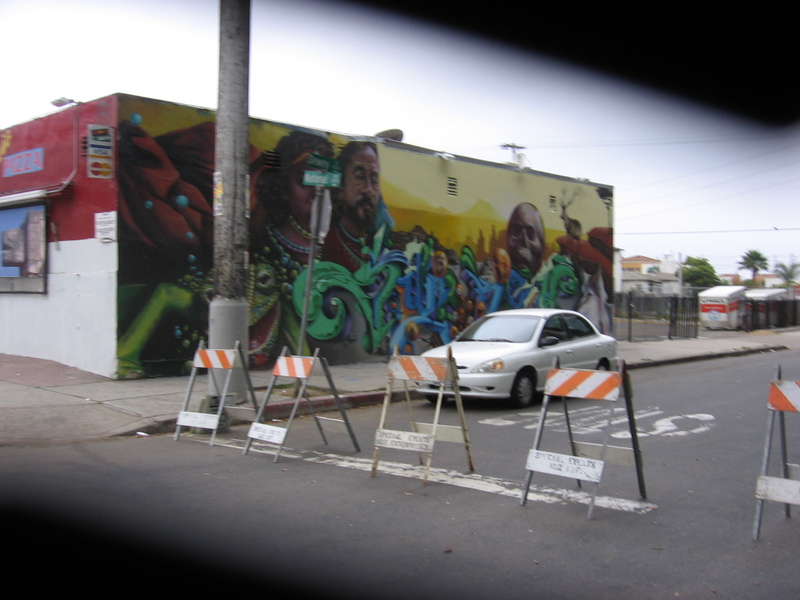 Beautiful murals greeted us as we started the walk and came close to Cesar Chavez Park. 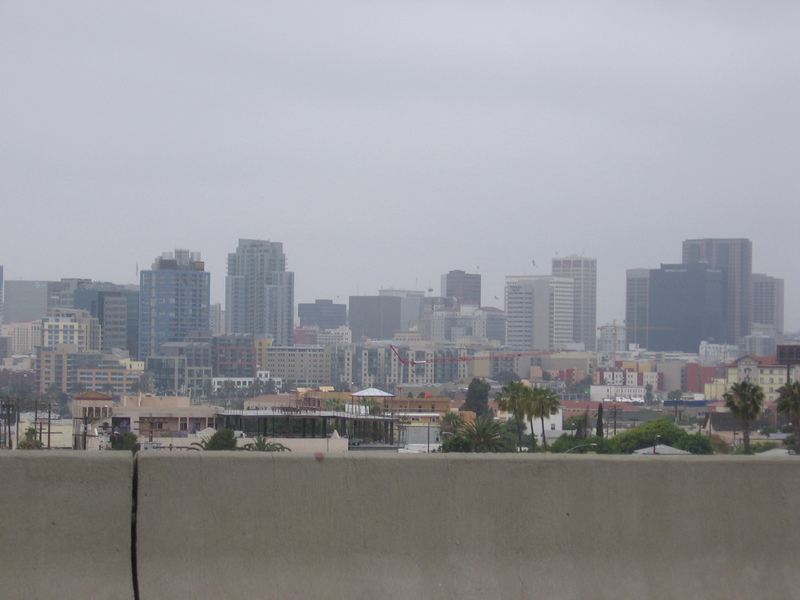 The skyline of San Diego is beautiful even with May gray clouds. After enough years, I have learned May gray is good to have linger. If the skies can remain gray, July fry (very hot earlier and throughout the day) stays away leaving us with cooler afternoons. 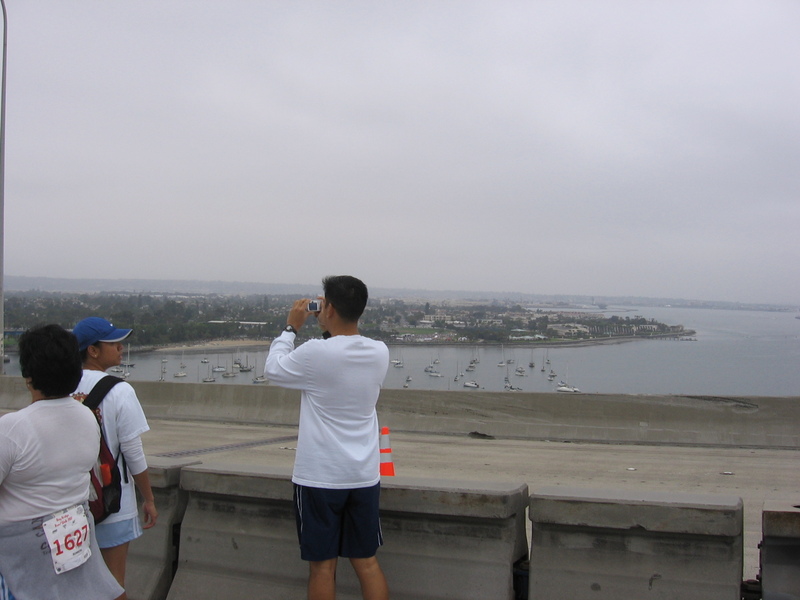 From the bridge one side allows a great view of San Diego. 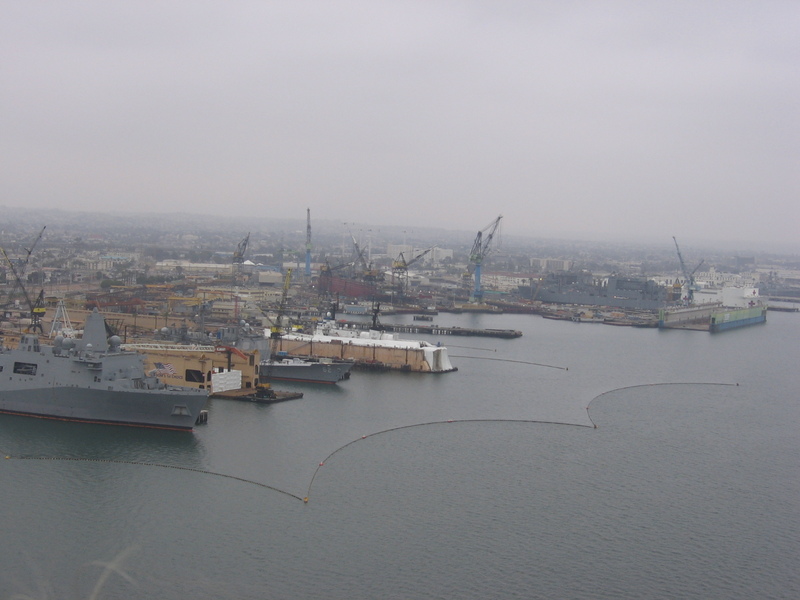 Make your way through the thousands and thousands of walkers and you can see the ships at the Navy Shipyard and Naval Station San Diego. Hope is found! 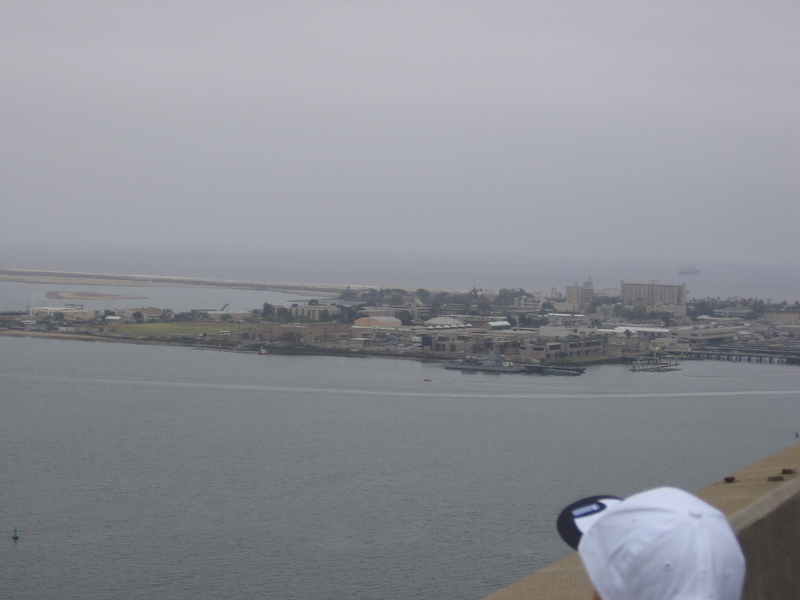 As the bridge starts to go down, you can see Silver Strand leading into the island of Coronado. Tidelands Park is visible from the other side of the bridge. This is where our walk will end. Just over a mile left to go! The finish line is right in front of us now…. Finished! Nine years out from my stroke, five years after our first walk and I dropped my time down by nearly an hour! This year I was able to jog some, too. This year it was a walk/jog. I am not ready for my half-marathon. I may not be able to run a 5K yet, but I still hold hope, and hope can offer answers to new goals. I am stronger every day. I am learning more every moment. Today is a gift, and I hope a day never goes by I don’t remember how lucky I am to be given a chance to push myself for yet another challenge. An amazing lady read my blog and was so inspired after reading From Couch To Dreaming of a 5K she pledged to complete a training for her very first 1/2 marathon in January! Even more to my awe and amazement, this particular lady offered to raise funds for a stroke related cause of my choice! I cannot begin to express my gratitude and admiration for everything she is doing. I requested these funds go to a specific neuroscience lab that studies not only strokes but also epilepsy, brain injuries and many more neurological conditions. 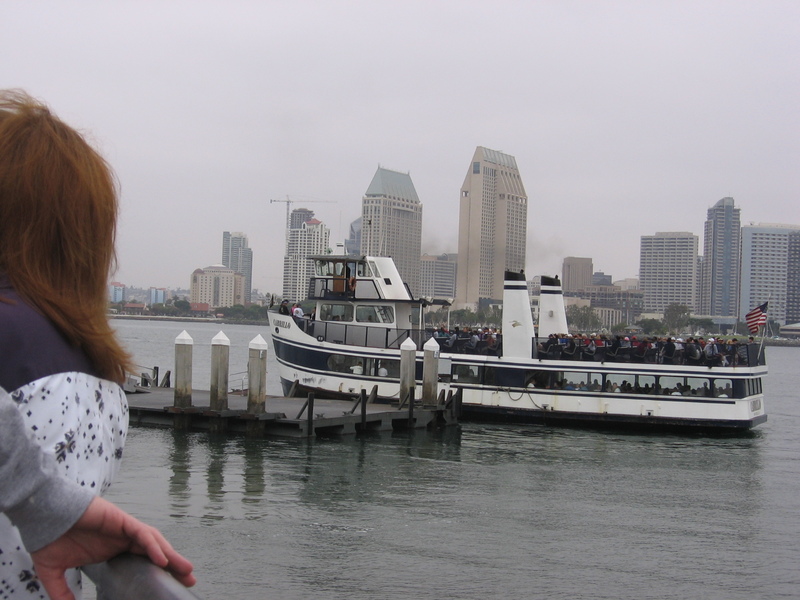 In order for her to begin raising funds for neuroscience, I wrote a guest post for her blog. This was my plea for people to support her marathon and fund-raising attempts. Neuroscience is not a familiar field to the general public. This post was my effort to demonstrate how many lives their research truly does touch. If you would like more information, please contact me. Thank you for taking the time to read why neuroscience is so important. And, Kari, thank you for radiating the hope I am attempting to share with everyone! I wish you the best of luck on the 1/2 marathon! You are incredible! I woke up early this morning. I walked outside after checking on my two beautiful daughters still snug under covers in their beds. Out in the crisp, chilly morning I stared for a moment at the beautiful snow-capped mountains with the sun behind them just waking up to greet the day. I made breakfast for everyone. Soon, I will drive to the store to buy groceries, and then come home to make some delicious cookies. Tonight, after supper, I will kiss my husband goodbye. I will watch the girls kiss and squeeze him tight for the hug that he hopes to never release. He will place his sea bag into the car, drive to the navy pier where he will board a ship to leave first thing in the morning for a short trip. The girls and I already have plans for this week to go to a park, go for a walk and play some extra games. I will tuck them into bed tonight. After they are drifting off to sleep, I will take one last trip around the house to check the doors and shut off all the lights. I will lay down by myself and say my prayers thanking God for the gifts I am able to enjoy each and every day as I drift off to sleep grateful for all I have. This is a fairly normal day in some aspects. However, this life that I am blessed with is only possible because of all the research that was accomplished before I was affected with a neurological condition. Hopefully, the research I now participate in may make my previous hurdles obsolete for future generations. After all, generations ago, people with epilepsy were sent to live in insane asylums for care. Stereotypes still linger. In the late 1990’s, I was invited to church from a lady who felt that my sins had allowed the devil inside of me. Her church could help purge these demons and end my seizures. As a society, we had come a long way from treating epilepsy as if it were a mental illness. Yet, we still have quite a way to go. Thankfully, I comprehended my seizures were created from an uncontrolled medical problem within my brain. No fault needed to be placed on my parents or myself for this disorder. To this day, stereotypes remain. I was fortunate in 2003; epilepsy surgery was no longer experimental. Now it was a nearly routine surgery, and there was medical hope. By this point, the seizures had taken their toll. I had suffered from amnesia and lost a considerable amount of memories. I was also seizing mainly at night. If my husband had not been there to turn me over, I would have died on more than one occasion. My surgery to remove scar tissue on my brain did not go as planned. There was a complication at the end leading to a stroke. At 27, I woke up missing a section of my brain, but having gained a new perspective on life. The struggles were many as I began a long journey to recover. I have not had a seizure since the date of my surgery. I have learned so many tricks of healing. Did you know that if you put your non-effected arm in a sling and force the side that suffered paralysis to work it helps stimulate the brain and can help improve the recovery? Did you know that neuroplasticity (the brain’s ability to reorganize itself in forming new neural pathways around the injured areas) is very possible and even more common than ever thought? So why is it important to research the brain? I woke up this morning. I got the paper. I can wave to my husband and let him sail away. He can continue his Navy career, and I can continue being a full-time mom without worries of how I will survive a night alone. Why neuroscience research? Because of previous research discoveries before I needed a lot of my care, I was never placed in an institution. I am not in need of 24 hour care now. Rather, I am a mom who can no longer run but has the ability to hold the hands of my children and enjoy walking them to school every day. I am a navy wife who can let her husband continue to serve our country because she is no longer concerned about the seizures that come at night. I am a mom, wife, friend, daughter and someone who has the ability and hope to provide more research funding. Future researchers will take these donations and offer even more hope for neurology patients still to come. These future patients will be spared some of the difficult roads others, such as myself, took. I thank you for helping me pay it forward!